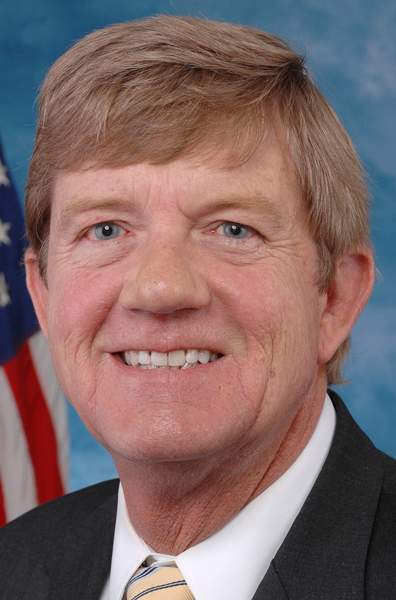 A Texas natural-gas and oil company that wants to drill in Western Colorado has formed a super PAC to support the re-election of Rep. Scott Tipton, R-Cortez. SG Interests of Houston is the sole donor to the Colorado Future Fund, a super PAC that formed in August. The PAC recently spent $10,000 each on mailers against President Barack Obama and Tiptons Democratic opponent, Sal Pace. The Colorado Future Fund lists its address at Zakhem Law in Denver. The firms president, John Zakhem, is also the lawyer for Tiptons re-election campaign. Super PACs are allowed to raise and spend unlimited money as long as they do not coordinate with a candidate. The Sunlight Foundation reported on the developments last week. The foundation analyzes campaign-finance data and advocates for better disclosure of money in politics. Zakhem said the Colorado Future Fund is run by a worker at his firm, Charlie Smith. I have specifically put up Chinese walls to make sure Charlie is in no way involved with the Tipton campaign, and Im in no way involved with the Colorado Future Fund, Zakhem said. SG Interests owns drilling leases in the Thompson Divide, a roadless area near Carbondale. It got the leases during the George W. Bush administration, when the national roadless rule was in a state of confusion over conflicting court rulings and Bushs repeal of former President Bill Clintons roadless rule. The new Colorado Roadless Rule adds protections for the Thompson Divide, but it does not completely put the area off-limits to drilling. Conservationists and ranchers are pressing Tipton to introduce a bill to protect the area from future drilling. So far, he has not committed to backing a bill. Instead, he has said he wants to find a compromise solution. Pace has said he wants to buy back leases from SG and other gas companies so that drilling will not occur in the Thompson Divide. Zane Kessler, executive director of Thompson Divide Coalition, said his group will not take sides in the election, and it will work with whomever is elected next month. But he doesnt like SGs new super PAC. It is disappointing to find out that out-of-state interests are trumping the interests of our ranchers and our sportsmen, Kessler said. In addition to the super PAC, SG executives have given $8,100 directly to Tiptons re-election effort, although Tiptons office has noted that he also has received donations from opponents of drilling in the Thompson Divide. Tiptons campaign manager, Michael Fortney, said Zakhems ties to a super PAC funded by SG Interests does not raise questions of conflicts. Congressman Tipton will continue to work with stakeholders on both sides and to come up with a solution that makes sense for everyone, Fortney said. In February, SG and Gunnison Energy agreed to pay a $550,000 fine to settle an antitrust lawsuit by the Justice Department for agreeing not to compete in a 2005 auction of drilling rights in Western Colorado.